Possibly you want an authentic Hungarian spice you would love to cook with, but Amazon doesn’t stock it. Backpack’s got you covered. Maybe you have a great desire for some microbrew from a small town you passed through while visiting Austria? You can get it at the global marketplace Backpack creates. Or you need the less expensive international version of a textbook and cannot find it in the US (for those who don’t know, most textbooks have an “international” paperback version that is much cheaper). Backpack can get you that, too. 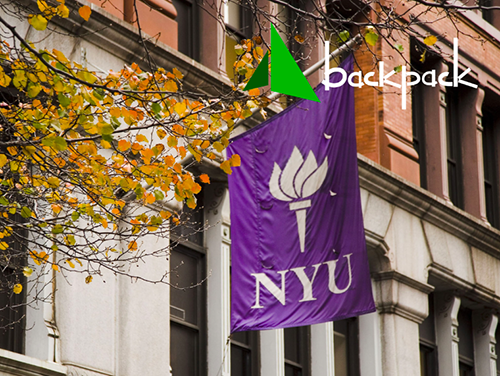 The prevalence of NYU’s stellar study abroad programs, as well as its fairly high concentration of international students, makes knowledge of Backpack, and the ways in which it can help international travelers, very important. By giving students the opportunity to make some money when traveling internationally, Backpack turns overseas travel – whether it is a study abroad experience or a trip back home – into a more affordable option.